Reach industry’s largest and most active buying community. Every two seconds, an industrial/B2B buyer looks for a new supplier in the Thomas Network at Thomasnet.com. Your ideal customer turns to us to gather the information he or she needs to solve their product sourcing and supplier selection challenges. 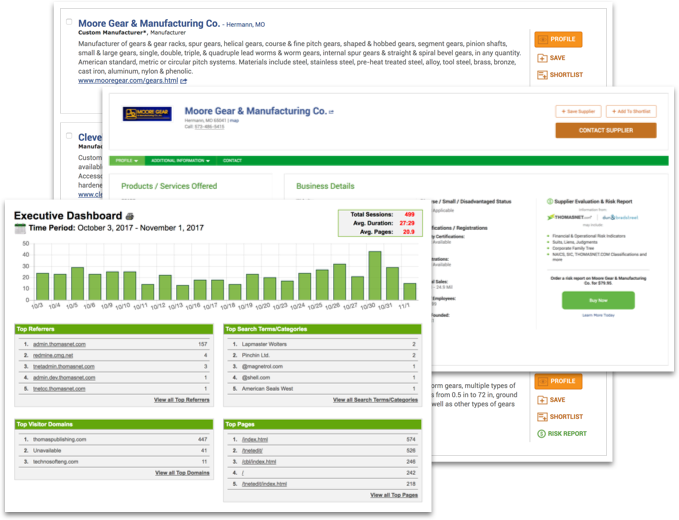 These buyers are typically past the stage of researching the right solution and are actively evaluating suppliers to provide that solution and become a part of their supply chain. So when these purchase decision-makers come looking for what you offer, make sure they can find you here. Accelerate your growth with a full suite of marketing solutions. We’ve built more than 5,000 websites, delivered a 400% increase in visitors, and quadrupled the number of qualified leads generated. Your growth strategy is crucial to growing your business — so you need a marketing partner that understands your business, your customers, your challenges, and your industry. We're not typical agency marketers who wouldn’t know ISO certification from an ice pop — we’re engineers, technical writers, and digital strategists. Most importantly, we can help you generate leads and achieve your goals. Turn your product data into a powerful selling tool. The Thomas platform delivers richer product information to enable the optimal digital customer experience and to bring your products prominence. 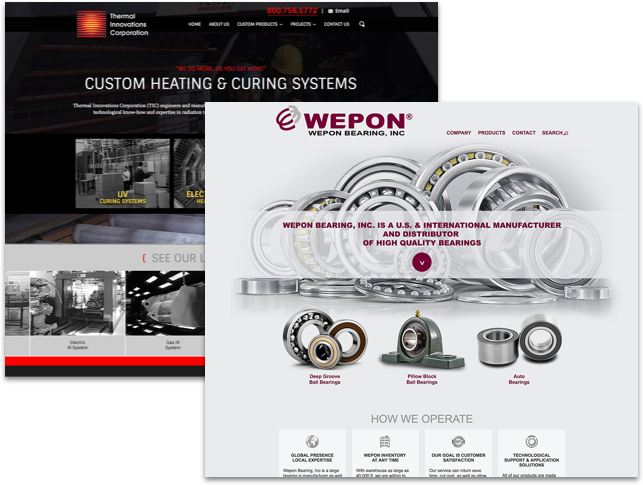 Whether it’s your website or your distributor’s site, providing quality digital product data wherever your products are found is the key to sales. Powered by our Navigator technology, Thomas helps you deliver the many formats of digital data required to get your products specified, and purchased. See if you're a fit for our products and services. 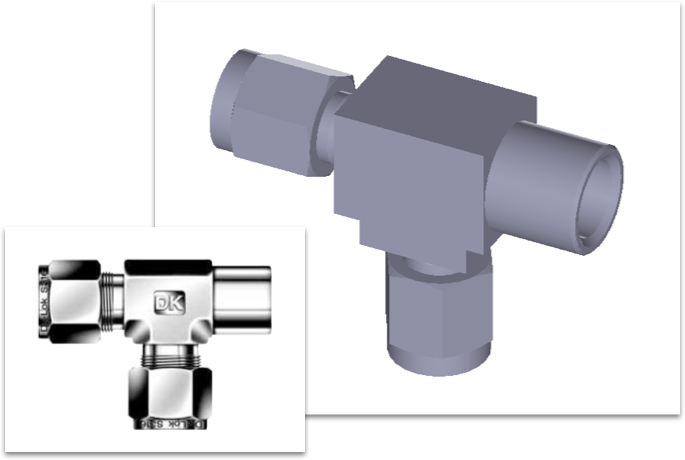 Thomas helps industrial suppliers who need more customers. We’re able to put you in front of the buyers and engineers you need to reach, because they turn to us to get their product sourcing and supplier selection jobs done. 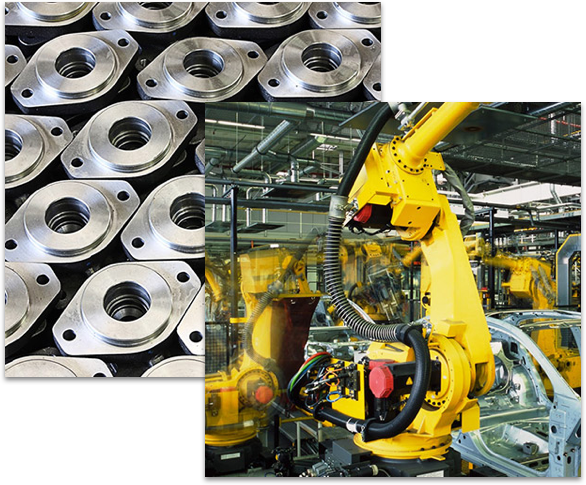 We can help you whether you’re a product & component manufacturer, capital equipment manufacturer, custom manufacturer/service company, or an industrial distributor. Thomas solutions are engineered to work together throughout the entire process, to keep you top-of-mind with engaged buyers who are looking for what you offer. 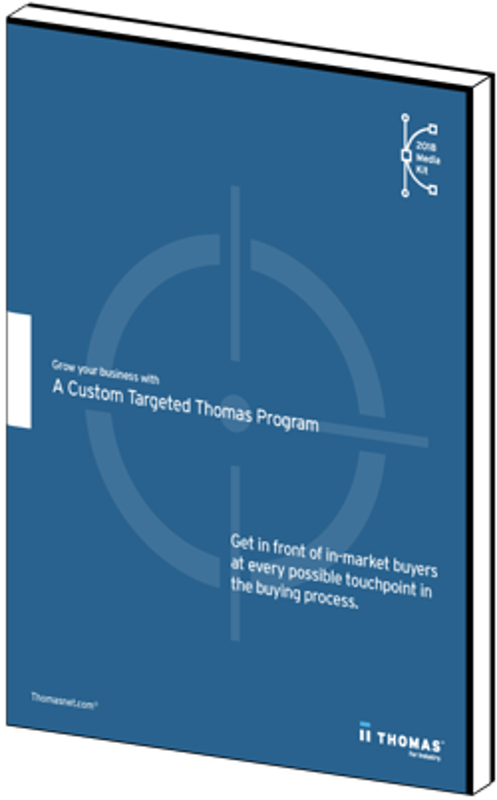 Download your free 2018 Thomas Media Kit to learn more about all of our solutions and how we help connect you to more buyers and engineers.